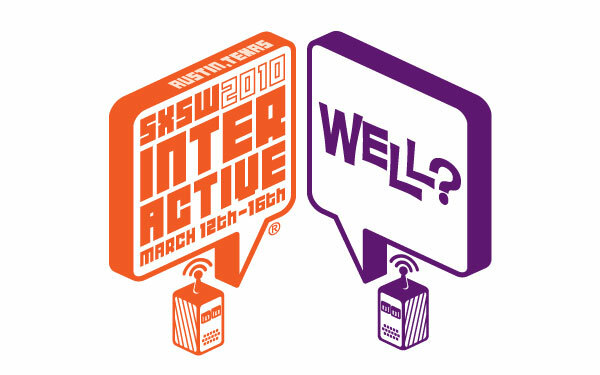 SXSWi 2010’s Social Media Predictions: Did they pan out? Home / Miscellaneous / SXSWi 2010’s Social Media Predictions: Did they pan out? In March 2010, I had the amazing opportunity to attend South By Southwest Interactive in Austin, TX on behalf of CurrentMarketing. Once I was back in the ‘ville, I presented a SXSWi summary to our agency. The premise was to pass along the big “themes” that were predicted to be huge in the 2010 interactive world, with a focus on social media. So now that I’m about to head back down to Austin for SXSWi 2011, I’m looking back on 2010’s predictions and seeing if they held true. So, buckos, hold on to your chair – we’re about to find out! Without a solid strategy, you ain’t got nothin’. So at SXSWi, discussions were rampant about social marketing best practices. I walked away with a greater understanding of Customer Relationship Management, brand value and restraint. For me, Brian Solis’ Social Compass, stood out among the rest. Solis created the compass as a concept to help brands find their direction to genuine and effective communication with their online communities. Authenticity, as a focus in content strategy, was also highlighted. Did it pan out? Yes, but being concepts, this obviously isn’t so cut and dry to evaluate. However as of February 2011, content strategy, CRM and authentic engagement are still paramount in social media spaces. And Facebook, which is in the process of rolling out Page upgrades, is stressing the importance of Authenticity with the introduction of highlighted Page Owners in its new Pages layout. It is also granting Page Admins the ability to comment from their personal profiles. While it isn’t always the best option for brands, the fact that it is now an option is important in the social shift. What was supposed to be Twitter’s big advertising model announcement turned into a forced feel good session on the “power of social media” along with the presentation of a set of new Twitter integration tools called @Anywhere. So where @thynow? Did it pan out? Yes and No. @Anywhere (which equals Tweet Boxes, Hovercards and Twitter Connect) is still active as a way for users to integrate Twitter into websites. Was it as revolutionary as they hyped it to be? Eh. But what SM really is? It is, however, useful and a set of handy tools that has helped Twitter become more accessible across the Web. As for Twitter’s Ad Model, which was later unveiled at their own Chirp Conference, well it was recently valued at $3.7 billion. Have we seen much from it? No. Promoted Tweets are currently trying to garner another push, but the success remains to be seen. So trying to stay on topic, that’s another topic for another day. Did it pan out? Absolutely. While still growing, 2010 was a year of enormous growth in the mobile arena. According to comScore’s 2010 Mobile Year in Review, by December 2010, nearly 47% of mobile subscribers in the US were also mobile media users, an increase of 7.6% from the 2009. (Mobile media use constitutes browsing the mobile web, accessing applications, downloading content and accessing the mobile Internet via SMS). Equally as important, smartphone ownership increased from 16.8% to 27%. And as mobile devices get into more hands, and more mobile devices hit the market (iPads etc.) mobile access and applications will only increase. In the geolocation spaces, we’ve seen the increased usage of applications such as Foursquare, Gowalla and the introduction of Facebook Places along with a slew of others. But, that being said, according to recent Pew Internet and eMarketer data only around 4% of adult online users currently use the services. Most consumers are still unaware of the services and retailers are still getting on board. Businesses have to give consumers a reason to check in and share in these places, specifically by providing deals and promotions, which is listed the primary reason users use geolocation apps. So there is still much more room for improvement and adaptation in the application and mobile arenas. Did it pan out? Not so much “pan out”, but it did turn out to be a huge talking point in 2010. There is still much public opinion about online privacy and the debates will only continue into 2011. At this point in time one thing does remain, users may be leery of their privacy controls, but they’re still using the services. There ya have it folks. Looks like SXSWi 2010’s social media conclusions were pretty on point for the year, which speaks volumes about the conference. I’m looking forward to getting back down there in a few weeks and once again sharing the predications, advances and 2011 themes from some of the world’s brightest “Interactive” focused minds!